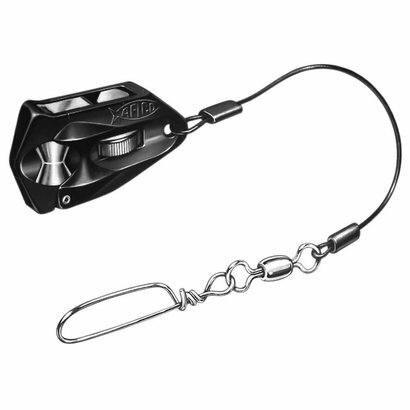 Aftco Flat Line Clip FL1 AFTCO Flat Line Clips put lines trolled from the stern of the boat into the water at a lower angle to minimize tangling and keep your lures below the sur-face for better action. And when a fish strikes, you'll know at the instant the clip snaps open to release the line. The Flat Line Clip is fitted with a 135-lb. coated stainless steel cable and a heavy duty snap swivel. Sold Single.